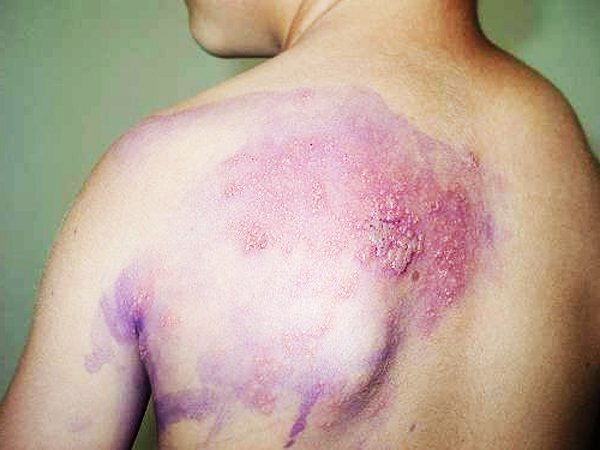 The picture shows shingles caused by the same virus that induces chickenpox. It affects those people who once had chickenpox. The disease is characterized by rashes, accompanied by severe pain syndrome.